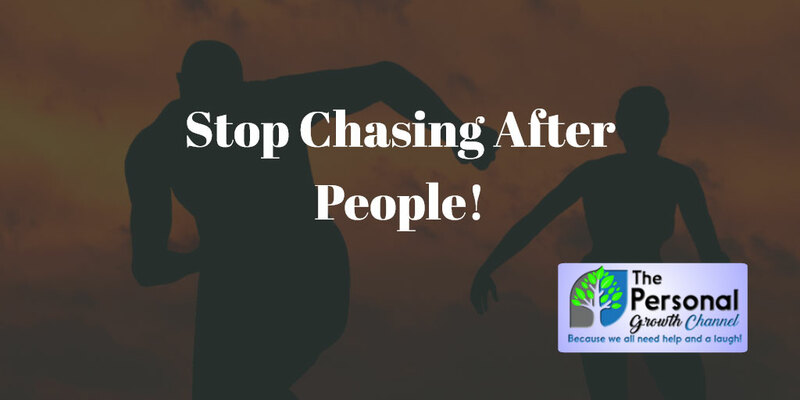 Home / LifeLessons / Relationships / Success / Stop chasing people! Thursday I received a call from a young woman who was interested in life coaching. She said her mom had encouraged her to check out a life coach to jump-start her career. Maybe 30 seconds into the conversation, she asked, "How much does this cost?" I replied, "It really depends on your goals and can vary. Normally I have people fill out a workbook which identifies the exact areas we need to focus on and then we discuss, come up with a plan, and go from there." "Ok, but can you give me an idea? ", she said insistently. I said, "A typical 12-week coaching package is $x which includes follow up and goal setting session each week. Some clients I meet with every other week which of course reduces the cost, but that's the typical arrangement." As soon as I said an amount, I could tell that the conversation was over. She hadn't yet learned that some things are worth investing in or how successful people buy anything they really want especially when it makes them more money than they spend. She could not or would not understand that an investment like this can pay for itself very quickly even though I explained the math behind investing in yourself to her. It was simply too expensive in her mind, and that was that. She was suffering from the old mindset that I used to have which says anything that seems like a large amount is too expensive rather than thinking about the return on investment. So why didn't I push harder? Well, there's a powerful lesson that I've learned over the years. At one point in my life, I used to chase people. I would practically beg people to stay in groups that I was part of even when it was obvious that they wanted to do other things. I would chase after women for dates. I would chase after clients and followers to try and get them back. Sounds real attractive, right? Occasionally, I would even catch someone and bring them back. Unfortunately, unless the original reason why they left was resolved, the relationship never lasted. It rarely ends well when you have to chase after someone. 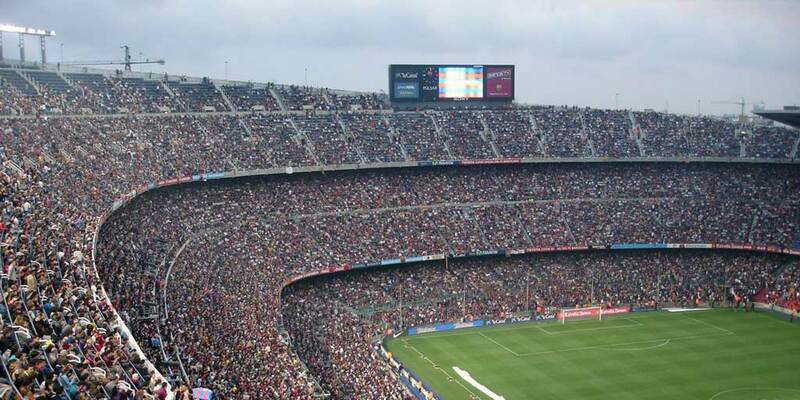 How many people are at this single soccer game? One day, something clicked for me. There are over 7 billion people on this planet. That's BILLION with a B. To put that number into perspective, if you were to meet a million people every single day for the next twenty years (that's about 12 people every second), you still would not have met everyone that is currently living. That doesn't even take into account new births. It is not worth wasting your time chasing people who don't want to have a relationship with you! Instead, focus your time on those who do want a relationship. Once I stopped chasing people, something interesting happened. People started chasing me! Since I am no longer busy chasing those who don't want me in their lives, I have time for those I choose to have a real relationship with who are actually interested in being around me. I also have the luxury of picking and choosing who I take on as coaching clients. I do still invite people into my life, I'm not saying you should stop reaching out to people, but don't actively chase after people either. If you are still chasing those in your life who don't want to be there, my advice to you is STOP! I realize that is really hard and some long-term relationships like marriages are worth trying to work through your differences, but eventually, you need to be willing to let people go. I probably missed an opportunity to make a little extra money from not pushing for the business harder on that call, but from experience, taking on a coaching client that I have to chase is not worth it. That's why one of the first things I do when someone expresses interest is to point them to my workbook and tell them to fill it out and send it to me. If they aren't willing to even do that, then that tells me I'm not going to be able to help them because they aren't serious about change. Some people just want a cheap magic pill to pop to fix their problems, and that's not how major life changes happen. There are plenty of other people like another lady I just signed up who are excited to work with me and are willing to put in the effort it will take to change their lives that I don't have to chase. I want to invest my time where I can make a difference. I advise you to do the same and invest your time into those who are interested in being part of your life. We've all got a limited number of hours each day. Spend them wisely.